Eid al-Adha or "Festival of Sacrifice" is an important religious holiday celebrated by Muslims all over the world to commemorate the willingness of Abraham (Ibrahim) to sacrifice his son Ishmael (Isma'il) as an act of obedience to God, before God intervened to provide him with a ram to sacrifice instead. During this month Muslims, all around the world, reach out and share the meat with others, especially with the poor. Many impoverished in our country hardly get a chance to eat a proper meal. They are always waiting for the month of sacrifice to be able to eat a fulfilling meal in order to satiate their hunger. HOPE, in continuation of its efforts to help the poor, distributed meat amongst twenty thousand nine hundred and fifteen families out of which one thousand families were given meat in Thatta, five hundred families were given meat in Badin, two hundred families were given meat in Sujjawal, six fifty families were given meat in Karachi including areas such as Bilal Colony, Mujahid Colony, Manzoor Colony, Bhittiabad, Sachal Goth, Abdullah Shah Gazi Goth, Ghagger, Link road, Gadaap and Rahri, Eight hundred and fifteen families were given meat in Muzzaffargarh and two fifty families were given meat in Muzzafarabad. Many of these families were the ones who do not even know where their next meal will come from. It was sponsored by HCI-Human Commission International, Aman Lakhani, Amir Jalil- HOPE USA president, Akber Khimani, Mohsin Nathani-Chief Executive Officer –Standard Chartered, Chinoy Family and other renowned Philanthropists. HOPE strives to achieve a society where the underprivileged class is never forgotten. In this regard, contributions from people all over Pakistan and outside Pakistan make our actions possible and we aim to reach as much poor people as we can. Qurbani 2013 - Support HOPE in reaching out more underprivileged people this Eid. Muslims all over the world celebrate Eid-ul-Azha in the month of Zil Hajj, commemorating the great sacrifice of Hazrat Ibrahim (pbuh). In this regard, some of the companions asked the Prophet (pbuh) regarding the significance of this sacrifice, the Prophet (pbuh) is reported to have replied: “It is the Sunnah of your father, Abraham (pbuh)”. 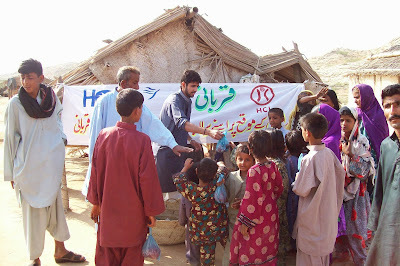 Therefore HOPE, an educational NGO in Pakistan which is run under the leadership of Dr. Mubina Agboatwalla, the child specialist in Karachi and the Chairperson of HOPE aims to reach out to all those poor and needy who neither can afford to sacrifice an animal nor get to have meat throughout the year like the privileged ones. Eid-ul-Azha is less than about 02 weeks away, and we at HOPE are preparing hard to distribute Qurbani meat and donations to poor and underprivileged areas specially those are which is affected by the flood across Pakistan. HOPE has an extensive network of hospitals and schools in Karachi, Thatta, Sujawal, Muzaffargarh and Muzaffarabad (AJK) in which extremely poor families reside. Income levels in these areas average as little as Rs. 3,000 – 4,000 per month with an average family size of 8 members. Often, they do not know where their next meal will come from. Like as previous years, HOPE plans to perform Qurbani and distribute meat to the poor in rural Sindh, Thatta, Badin, Muzaffargarh and Muzaffarabad (AJK). As HOPE strives to have a society where individuals are aware of the basic rights and have equal opportunities to not only access health and educational facilities but to have all the privileges and blessings of life. In this regard, contributions from people all over Pakistan and outside Pakistan make our actions possible and we aim to reach as much poor people as we can. This Eid-ul-Azha, let HOPE perform Qurbani on your behalf and allow HOPE NGO in Pakistan to distribute meat and alms to the poor and needy. • One Person's Share in Cow: $90.00 Please donate generously. Your contributions make these important actions possible. Give your Qurbani donations to HOPE. HOPE - a health NGO in karachi, plans to provide medical aid to the earthquake affectees in different districts of Balochistan. This earthquake has killed at least 327 people and left thousands more injured and homeless in a remote region of southwestern Pakistan. 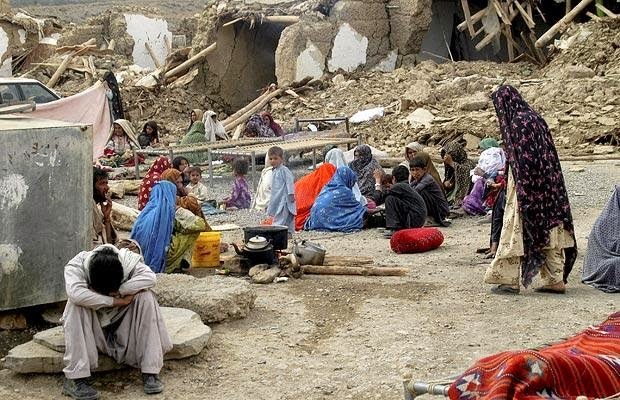 More than 300,000 people have been affected over a total of six districts - Awaran, Kech, Gwadar, Panjgur, Chaghi and Khuzdar. Many houses are flattened and thousands of people are spending nights in the open. HOPE has previously been involved in providing emergency relief activities to individuals affected by natural catastrophes. Such as, in 2005 earth quake of Kashmir, in 2007 cyclones and floods in Interior Sindh and Balouchistan, in 2008 earthquake of Balouchistan, 2010 and 2011 flood in Sindh. It plans to reach out to those who have been majorly affected by this disaster and help them in whatever way possible to get them back to their routine life. It is feared the death toll could rise once other areas are reached. The number of wounded is reportedly more than 440. Therefore, it is requested to support HOPE in its endeavors to help those who need it the most by providing medical aid, team of doctors, food relief, shelter, tents etc.